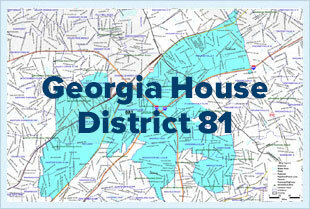 I am writing to request information related to House Bill 961. I am asking formally so that I can share your answers with my constituents, who I know are interested in your response. At the conclusion of such term of office, the chief executive officer position shall be abolished with the county commission becoming the county governing authority and the duties and responsibilities of the office of chief executive officer being transferred to the chairperson of the county commission. Besides the name change from CEO to Chair, what changes to DeKalb's government would occur? -How will the role of the Chair change from the current role of the CEO? -What roles and responsibilities will be different? -Will the Chair be elected by the citizens of the county or elected by the Board of Commissioners? -What changes will there be to the duties and responsibilities of the Board of Commissioners? -What changes to the Organizational Act does your legislation contemplate? Will there be a referendum to consider those changes (if any)? I look forward to reading and sharing your response. Thank you.